The earliest period of rent control in California and across the U.S. was during World War II. With levels of vacancy declining from highs of the Great Depression, and new construction essentially coming to a halt due to the diversion of resources for the war effort, the federal government implemented emergency price controls in 1942. This covered wage and price controls for consumer goods, and also included rent control. The program was phased out beginning in 1951, and while some states, like New York and New Jersey, implemented their own rent control laws, California did not. It wasn't then until the 1970s that California witnessed a resurgence in tenant activism and calls for rent control—now at the city scale. Today, of the 14 cities in California with some form of rent control, 12 enacted their laws during this period, including Alameda, Berkeley, Beverly Hills, East Palo Alto, Hayward, Los Angeles, Los Gatos, Oakland, Palm Springs, San Francisco, San Jose, Santa Monica and West Hollywood. Many more fought for rent control and lost, in an increasingly contentious battle between organized landlords and tenants on the issue. This includes Santa Cruz, where tenant movements tried three times in the late 1970s and early '80s to get rent control ballot measures passed, but were unsuccessful each time. Successful campaigns tended to happen in cities with strong coalitions between organized tenants and their allies, including labor unions, faith-based organizations, neighborhood alliances, and student organizations (the voting age dropped to 18 in 1972). Many of these local coalitions had their beginnings in the social movements of the 1960s. Ironically, their efforts were catalyzed in 1971, at the tail end of the Vietnam War, by their erstwhile adversary, President Richard Nixon. Nixon passed temporary national wage and price controls, including rent controls —the first since WWII. The goal now was to contend with hyper-inflation, which was driving up home prices, rents, and property taxes, as well as the cost of goods and services. These controls were phased out seventeen months later, in January 1973. But housing activists sought to extend them. Organizers in Berkeley took the lead on this, gathering signatures to place an initiative to continue rent stabilization on the June 6, L972 ba1lot. When this won, in 1973, Berkeley became the first rent-controlled city in the state since WWII. Aside from Nixon, another of the drivers of these early movements was the passage of Proposition 13 in 1978. Prop 13 is a state-wide ballot initiative that amended the California constitution to reduce property taxes for homeowners and corporations and limit future increases by requiring a 2/3 majority for any new tax to be passed. Its sponsors, Howard Jarvis and Paul Gann, as well as members of their broader "tax revolt" movement, assured renters during the campaign that they would also benefit, since the lowered cost of operating rental property would be passed on to them in the form of lower rents. In some cases documented in Los Angeles, explicit promises were made in exchange for renters' votes for Prop 13. 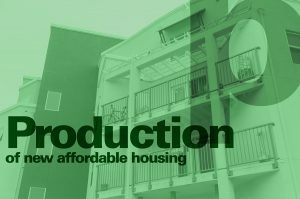 Yet, immediately after its passage, þroperty owners chose to take advantage of increasing demand for housing amidst restricted supply, and began raising rents at an even greater rate than before. In response, many cities passed temporary rent control measures to require that landlords' tax savings be shared with tenants. These were often then followed by permanent rent control ordinances. This includes passage by voter initiatives or ballot measures in San Francisco (1979), Santa Monica (1979), East Palo Alto (1986, 2010), and Berkeley (1980). It also includes passage by city council ordinance, including in Beverly Hills (1978), Los Angeles (1978), Hayward (1979), San Jose (1979), and West Hollywood (1985) passed both through ballot measures and City. Opposition to rent regulation has an equally long history in California, and to some extent nationally. Soon after its passage, legal challenges to the 1973 Berkeley ordinance were launched by statewide landlord organizations, who sought to overturn local laws like this one, lest they gain traction and spread more broadly. Their efforts succeeded in delaying implementation of Berkeley's law, but also lead to a consequential ruling. In Birkenfield vs. City of Berkeley, the California Supreme Court held that Berkeley's measure was unconstitutional due to its interference with landlords' ability to make a fair return on their investment. In so ruling, however, they also enshrined the principle that local rent controls could be constitutional if they met certain criteria, including fair returns. Realizing they could win a local battle but lose the larger regulatory war, organized landlords came up with a new goal: to declare rent control a matter of exclusive state concern and to forbid California's local governments from passing rent control laws of any kind. And if this didn't work, they aimed to prevent cities from having jurisdiction over the provisions of these laws, such as vacancy control and eviction protections. Landlords began organizing statewide, under the auspices of the California Apartment Association [CAA] and the California Realtors Association [CRA], representing landlords and real estate interests, together with local Chambers of Commerce, business coalitions, trade unions, individual landlords, and elected officials. One of their early victories was the “The Ellis Act,” a state law passed in 1985 that allows landlords who are “going out of the rental business” to evict tenants —often en masse—and take their buildings off the rent control rolls. In principal, this law can be used by building owners who wish to cease being landlords. In practice, it is commonly been used to “flip” rent controlled buildings, selling them to new owners at higher costs once long-term tenants are gone. Landlords have also been found to use the Ellis Act to harass tenants, i.e. : threatening them with eviction unless they leave, then decontrolling their units. Meanwhile, opponents took aim at vacancy control. A bill they authored passed both the Assembly and the State Senate in 1976, but was vetoed by Governor Jerry Brown, then in his more liberal "Governor Moonbeam" period. 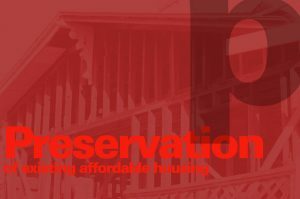 State legislation that would require vacancy decontrol was introduced at nearly every legislative session for the next twenty years, but was held in committee by state senator and majority leader David Roberti, a strong rent control supporter. Roberti stepped down in 1993. The legislation, called Costa Hawkins, would finally pass in 1994. Costa Hawkins represented opponents' most sweeping victory, and "effectively shut down the rent control movement statewide." The law prevents rent control from being applied to single family homes or units constructed after 1995. It also allows for “vacancy decontrol,” through which owners can return units to “market rates” once a rent-controlled tenant leaves. Since its passage, the law has been very effective in both limiting the effectiveness of rent control and de-controlling hundreds of thousands of units statewide. With the rapid escalation of the housing crisis in recent years, the political tide has begun to turn for rent control in California. As Alisa Belinkoff Katz explained in a 2018 report, "the current moment features a “perfect storm” of affordable housing shortfalls, rising rents, and declining incomes that began in the early 1990s and has gained momentum to this day." Meanwhile, unlike the earlier periods of rent regulations in the 1940s and 1970s, in which largely middle-class renters were affected, housing today is unaffordable for almost half of middle-income renters and nearly all those who are poor, which in turn has exacerbated the epidemic of homelessness on the streets of cities California-wide. With this new and much broader base of tenants affected, organizing has surged. Local and statewide coalitions, Tenants Together and Renters United Network formed in an effort to create a network of tenant organizations and build support for tenant protections both locally and statewide. Elected officials have become more sympathetic to the issue. There were early signs of this shift in November 2016, when new ordinances passed in Richmond and Mountain View—the first in over 30 years—while Oakland and Berkeley also voted to strengthen their existing measures. This momentum continued to build towards the November 2018 elections, with over a dozen new local rent control efforts advanced across California—Glendale, Inglewood, Long Beach, Pasadena, Pomona, Sacramento, San Diego, Santa Ana, Santa Rosa, and Unincorporated L A County— as well as the statewide Proposition 10 to overthrow Costa Hawkins. Even more so than in the 1980s, landlord opposition was organized, well-funded, and effective at blocking much of this momentum. 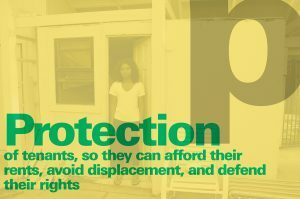 Lobbying bodies such as the California Apartment Association, California Association of Realtors, National Apartment Association, and National Association of Realtors were joined by increasingly powerful private equity firms, large rental property owners, and publicly traded real estate investment companies, landlords spent tens of millions to block tenant protection drives. This included 10-to-1 spending to block Measure M in Santa Cruz, and $80 million spent statewide to block Proposition 10, the most spent to oppose a proposition in the state's history. Nonetheless, there were many victories for tenant campaigns. In Oakland, voters approved a measure to close eviction loopholes, significantly expanding Oakland’s eviction protections to cover thousands of smaller buildings previously exempt. In the city of Alameda, voters defeated a real-estate backed measure to preempt rent control efforts—part of a broader strategy to gut local momentum for rent control with statewide significance. And in Mountain View a similar measure by landlords was successfully blocked from appearing on the 2018 ballot at all, thus protecting the measure passed by voters in 2016. Through the organizing of the newly formed and increasingly powerful LA Tenants Union, a temporary rent cap was passed in Unincorporated LA County. Arguably one of the most significant victories was getting a proposition to overthrow Costa Hawkins on the 2018 ballot at all, something thought to be impossible after efforts in previous years failed. Similarly, the fact that so many new rent control measures were proposed or got on the ballot despite Costa Hawkins was an indication of the growing strength of the tenant-movement, and of shifting popular sentiment on the issue. A 2018 poll out of UC Berkeley found 60 percent of likely voters in California support rent control in some form. With rent control maintaining broad popularity across the California electorate, more campaigns plan to launch for local rent control expansions, including a rent control ballot measure in Sacramento, already confirmed to appear on the November 2020 ballot. 1. On failure of rent control to pass in Santa Cruz, see discussion in William Domhoff and Richard Gendron, The Leftmost City; Power and Progressive Politics in Santa Cruz. Westview Press, 2009. See author discussion and related media. On broader efforts to pass rent regulations statewide, see W. Dennis Keating, Rent Control in California. Responding to the Crisis (Institute of Governmental Studies, University of California, Berkeley 1983) As Keating notes, between 1977 and 1983, the "voters of 22 cities [rejected] 27 proposed rent control initiatives." Among those cities that then avoided rent control: Pasadena (1977), Santa Barbara (1978), Santa Cruz (1979), Long Beach (1980), San Diego (1980). 2. See fascinating history of how this played out in neighborhoods in Los Angeles, like West Hollywood and Santa Monica, in: Alisa Belinkoff Katz, “People are Simply Unable to Pay the Rent: What History Tells Us about Rent Control in Los Angeles.” UCLA Luskin Center for History and Policy, October 2018. 4. See Belinkoff Katz, 2018 ibid, 9. 5. Manuel Pastor, Vanessa Carter, Maya Abood, “Rent Matters: What are the Impacts of Rent Stabilization Measures?” Los Angeles: University of Southern California Dornslife Program for Environmental and Regional Equity. October 2018, 9. 6. Barton, 1998, ibid, 92.